So if you live in the North you take your weather predictions on February 2 from a groundhog. There is Wiarton Willie here in Canada and Punxsutawney Phil in the US. If the groundhog sees his shadow they basically say there is 6 more weeks of winter. Well guess what!! Neither groundhog saw there shadow = Early Spring!! Yippee. Now I don't normally take my weather predictions from animals but I am going to cross my fingers that in this case these groundhogs know what they are "talking" about. Please come early spring. Although it is still quite cold out there February 5th is a great day. It's World Nutella Day! Unless you are allergic to nuts I think most people love this stuff. Nutella always reminds me of my friend Sebastian who brought Nutella on a trip to Honduras we went on a few years back. What a smart guy, it came in quite handy when having our morning waffles. Any time I bake Nutella treats, I often bring him some or save him some. Sebastian, come on over I still have some left! 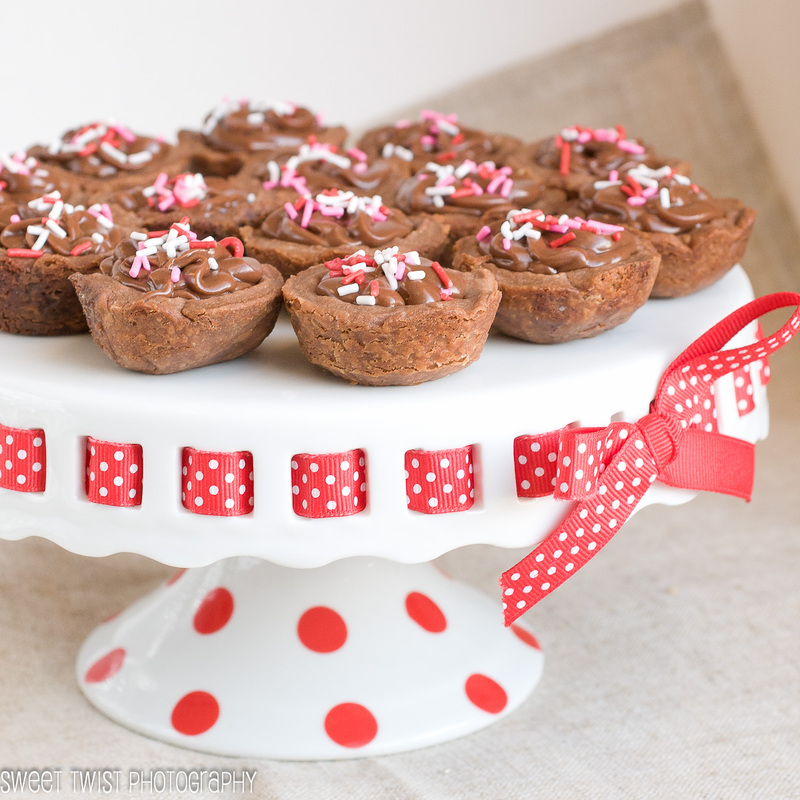 I wonder what other wonderful desserts are out there in blog world today! 1) Make the dough : Combine flour and salt in your mixer bowl. Add butter and beat on low until resembles a large crumb. 3) Form into a flat cylinder and wrap in saran wrap. Store in fridge until it becomes cold but not hard. 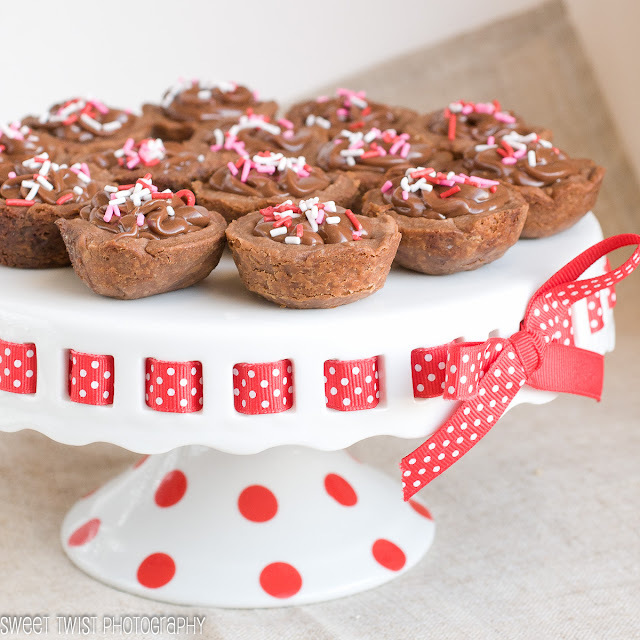 4) Roll out the dough and cut out circles that would fit into a mini muffin pan. Bake for 20 minutes. @ 350F. 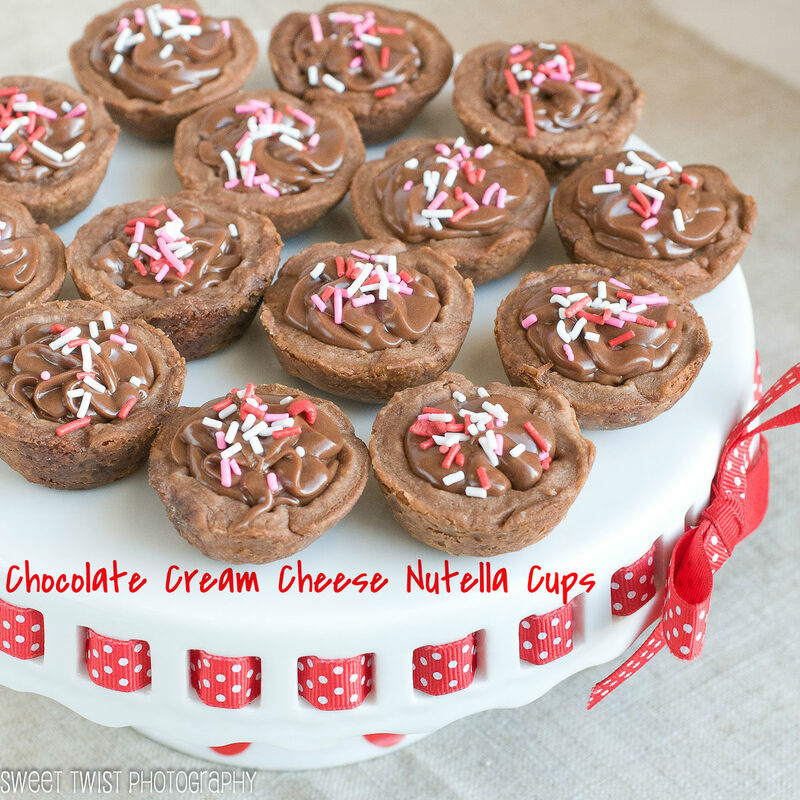 5) Make the filling : Beat cream cheese and nutella in a large bowl or your mixer bowl. Add confectioners sugar and beat together until smooth, adding milk if needed. 6) Place into a piping bag and pipe into the cups. Top with sprinkles. Oh my yum! These are so happening at my house this weekend! These are so adorable! And I've never heard of chocolate cream cheese - I need to find it, it sounds amazing! These are fabulous! First of all, Nutella. And that cream cheese!!! !